These asylum seekers have banded together for protection — not from the uncertainty of a journey fraught with danger, but from their fellow travelers. Then Loly herself began getting threats — "that if my breasts were going to grow, they would cut them off," she said. They were always anonymously delivered, which only made her more fearful and finally drove her to flee. "In my country there is violence, a lack of work and opportunities," said Loly, who like many of the transgender women in the group preferred using only her first name. 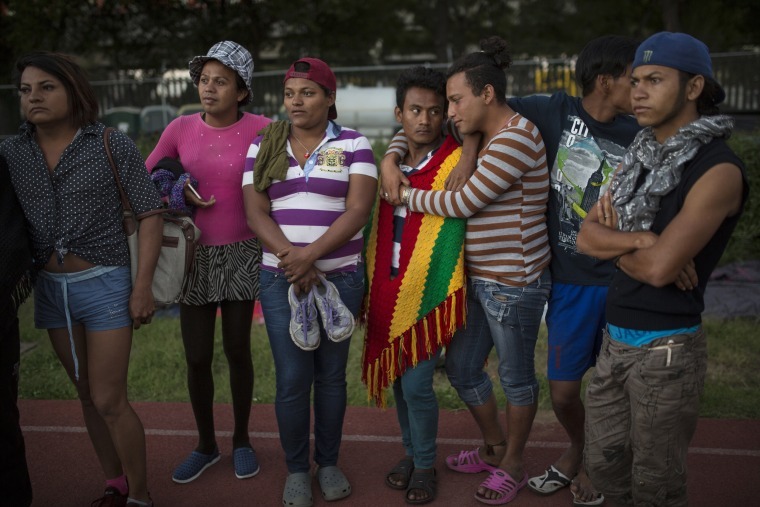 "In the caravan there is also violence — against the LGBTQ community." Loly linked up with the caravan in Tapachula, in southern Mexico, and hopes to work in the United States and save up to start a beauty products company — perhaps in Los Angeles or New York. It's something she has planned for a long time, all the way down to the business' logo, but she's never had the money.